An Intertops Poker player that won an online tournament at the popular poker room will be returning to Austria’s most luxurious casino resort this weekend for the €1,000,000 CAPT Velden poker tournament. 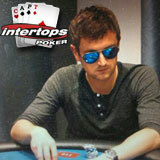 Intertops’ poker manager will accompany “Christoph” to the €500 event he’s playing on Saturday. Talking about his approach to tournament play, the Intertops champion said his strategy depends on the buy-in. Last year Christoph almost won the €500 buy-in event in Velden. Even so, he wasn’t entirely happy with his game play. “I like Velden because the competition is superb. The whole event has so much flair. All kinds of people come to play: pros as well as people on holiday that just happen to realize there’s a poker tournament. So there is a good mixture of people and playing skills and the challenge is to realize who’s who and how to play against each one."